For over 60 years Art Review magazine been the leading global guide to contemporary art covering both established and emerging artists. Each issue is packed with a mixture of international exhibition reviews, artist profiles, city art tours and artist commissions, including artist projects published as supplements. 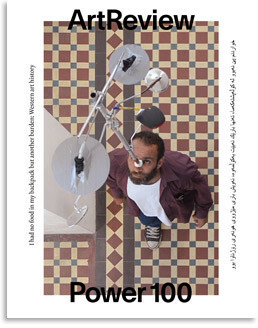 Annual features include the much publicised Power 100, a guide to the 100 most powerful figures in contemporary art, published in November; and Future Greats, a selection of new and upcoming artists, published in March.